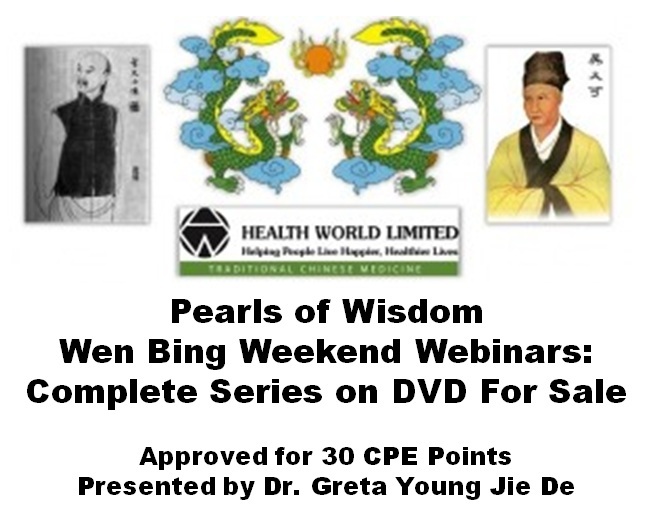 Wen Bing Webinar Series (30 hours designed to be heard over 5 weekends): 30 CPE / PDA points. Presented by Dr. Greta Young Jie De (Ph.D), this course teaches you to ‘think outside the box” and teaches effective treatment strategies for a broad range of conditions not generally categorised as “seasonal febrile disease”. Apart from providing a deeper understanding of Wen Bing theory and strategies, this short course is a path to clinical accuracy and improved clinical success. CPE POINTS: To earn the 30 CPE points, you will be required to complete a short quiz. On successful completion of the quiz a CPE certificate will be issued. IF YOU CHOOSE TO COMPLETE THE QUIZ IN 2015, THE CPE POINTS WILL BE VALID FOR THAT YEAR. Outcomes: This course teaches you to ‘think outside the box” and teaches effective treatment strategies for a broad range of conditions not generally categorised as “seasonal febrile disease”. 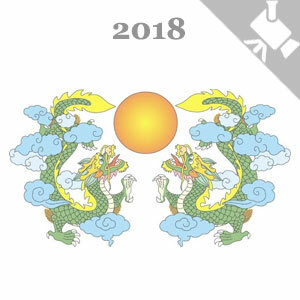 Apart from providing a deeper understanding of Wen Bing theory and strategies, this short course is a path to clinical accuracy and improved clinical success. The full set of 10 lectures totalling 30 hours is available as a downloadable set of files, playable on most computers, for just AUD618.